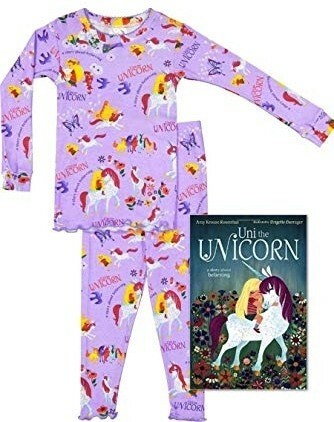 You'll have sweet unicorn dreams all night long with this gift set from Books to Bed! 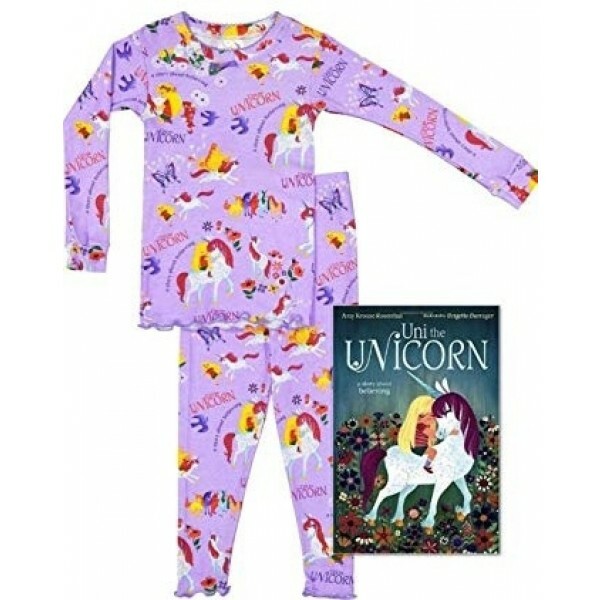 This set includes a copy of the best-selling picture book Uni the Unicorn, plus cozy 100% cotton long-sleeved pajamas that features a Uni the Unicorn print. Together, they make a great gift idea for any fan of Uni... or any little girl that you're sure will become one. This set is available in toddlers sizes 4T, and children's sizes 5, 6, and 8.